Eibach SPORTLINE is the extreme-performance spring set created for the extreme enthusiast—the one who craves a race-car attitude for maximum street performance—with the lowest possible drop, but with the exceptional ride quality you expect from Eibach. 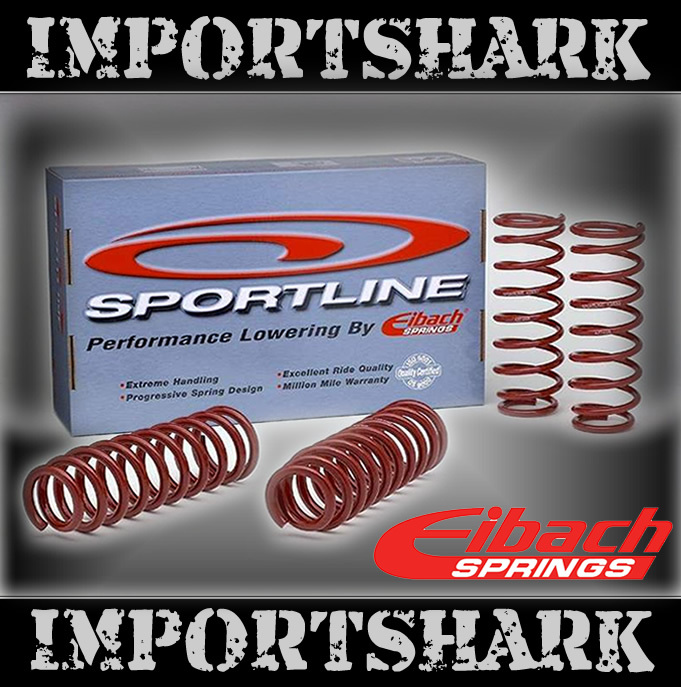 Engineered with the same care as the PRO-KIT springs, Eibach SPORTLINE springs achieve legendary handling by aggressively lowering your car’s center of gravity, using our precision—engineered progressive spring rates. By radically lowering your car’s center of gravity, our SPORTLINE springs dramatically reduce squat during acceleration, body roll in corners and nose-dive under braking. By using our proprietary, progressive spring design, our SPORTLINE springs provide the ultimate balance between high performance, extreme lowering and comfortable ride quality. When combined with today’s wild 18", 19" or 20" wheels and tires, the result is a car that handles just as white-hot as it looks. - Lower than the Pro-Kit.